Definition – What Is a Business Process Consultant? A business process consultant is an external consultant who helps businesses by researching and analyzing the processes and systems that a business implements. Once this has been done, he or she will make recommendations to improve these processes and practices with an eye to improving overall efficiency. The consultant may also be involved in designing simulations to test proposed process improvements. A business process consultant would generally report to top management. Question – Would You Really Let a Critical Business Process Loose in Your Business? Although the first impression you may get from a short definition is that business process consultants are paid meddlers, there’s a lot more to it than that. A real professional in this field will have a great breadth and depth of experience and will very likely have some pretty impressive qualifications. If your impression has now changed from “I don’t want this meddler!” to “I can’t afford a pro like that!” you might be right. After all, anyone with the credentials to be a business process consultant isn’t small fry. There’ll be a big business background positively littered with incredible efficiency-enhancing achievements. That’s how it should be. After all, you wouldn’t want to let a graduate student test his or her wings by messing around with the way your business does things. How Does Business Process Consultancy Work? Being a business process consultant is hard work. A consultant may even employ a team to help him. To begin with, analyzing business processes on paper isn’t enough. One has to see them in action, and a quick glance won’t be enough to provide data from which a consultant can make a conclusion about the process as a whole. So, the first step a business process consultant takes will be to get to know your business processes as intimately, if not more so, than you already do. He or she will watch your people at work, asking questions for clarification as needed. Finally, the business process consultant reports to management, highlighting areas for improvement and making suggestions for improvement. In certain instances, the consultant or business owner will want to see how the proposed new workflows operate in practice, and then a trial run will be set up. How do you Know if This Intervention Will Work? The success of a business process consulting intervention will depend on the quality of the consultant. If you decide to use a consultant, you should check past results, getting your information directly from the consultant’s client. A really good consultant might not need experience in your line of work, but the more specialized the area, and the less experience he or she has of it, the longer it will take to perform the preliminary evaluation. One of the biggest benefits of using a business process consultant is that you get a “fresh pair of eyes.” When we’re in the thick of things, it can be difficult to spot inefficiencies that are painfully obvious to an outside observer. Since a proper business process consultant is highly qualified and will have a strong business background, you will also get the benefit of this experience. And although you will certainly pay for this professional’s time, it still works out a lot less costly than hiring a person with that skill level as an employee. Finally, a business process consultant will be perfectly honest and will be comfortable with raising issues that your own staff members might be reluctant to bring to your attention. For example, if you have a strong sense of ownership of processes you introduced, your staff might be reluctant to tell you about flaws for fear of offending you. Although getting an outsider’s impressions can be valuable, this person may not obtain a deep enough understanding of what you do and why you chose to implement certain processes in the way you did. There have been many success stories stemming from the use of business process consultants, but there has also been a fair share of disappointments in which companies feel that they failed to gain suitable recommendations. To maximize your chances of obtaining a good outcome, you and your consultant should meet in advance so that you can discuss your expectations and clarify the reasons why you thought business process consultancy could help your company. This will guide the consultant during the business process evaluation. You or a trusted staff member could undertake the process of evaluating workflows, both on paper and at the coalface. You won’t have the advantage of a fresh pair of eyes, but you will have the advantage of the pre-existing knowledge of your company. If you can eliminate bias to a large degree by preparing yourself to approach the process with an open mind, you could identify areas for improvement as efficiently as a consultant would. The primary drawback of this alternative is the time it will take. You and your staff members already have functions to fulfill, and unless your workflows are carefully tracked, you could miss important areas that need attention. Tallyfy offers a solution to overcome time constraints. 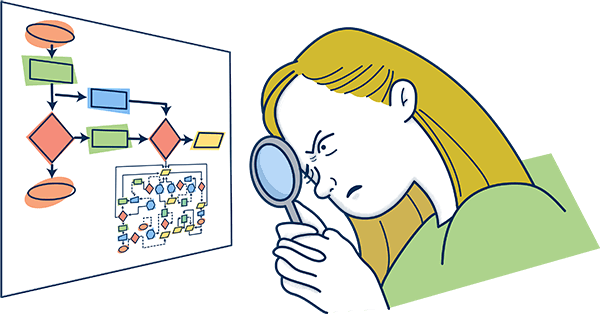 Your real workflows can be tracked in detail, and even when you don’t have your eye on the ball, you can draw analytics after the fact to see how each portion of a process fared. Once you have identified problem areas, it’s just a matter of finding out what the cause of the problem is. Addressing it may mean having to adjust the workflow, getting new equipment to make your employees’ jobs easier, or even employing extra staff members to cope with the workload in certain areas. If the reasons for hitches in work process flows aren’t obvious, you’ll at least know which areas will need closer observation in order to determine how you can improve efficiency. Would you like to know how Tallyfy can turn you into your own business process consultant? We’ll give you a free demo, or you can get a month’s free trial and take it from there. Why not try it? It could be the best thing you ever did for your business. We also offer paid services, of course. Pages related to - Definition - What Is a Business Process Consultant? Definition – What is Business Process Engineering? Definition – What is Business Process Redesign (BPR)? Definition – What is Business Process Management? ← Definition – What is a Sales Funnel? Tallyfy » Blog » Process Improvement » Definition – What Is a Business Process Consultant?